The first flight of any aircraft can be nerve wracking. The consequences of failure can often cost a lot of money. In the case of drones, you also need to consider physical harm. An improperly configured drone may start the “chicken dance” when armed, causing it to flail about; chopping up anything that is in its path. Are all the propellers mounted in the correct orientation with the correct spin direction? 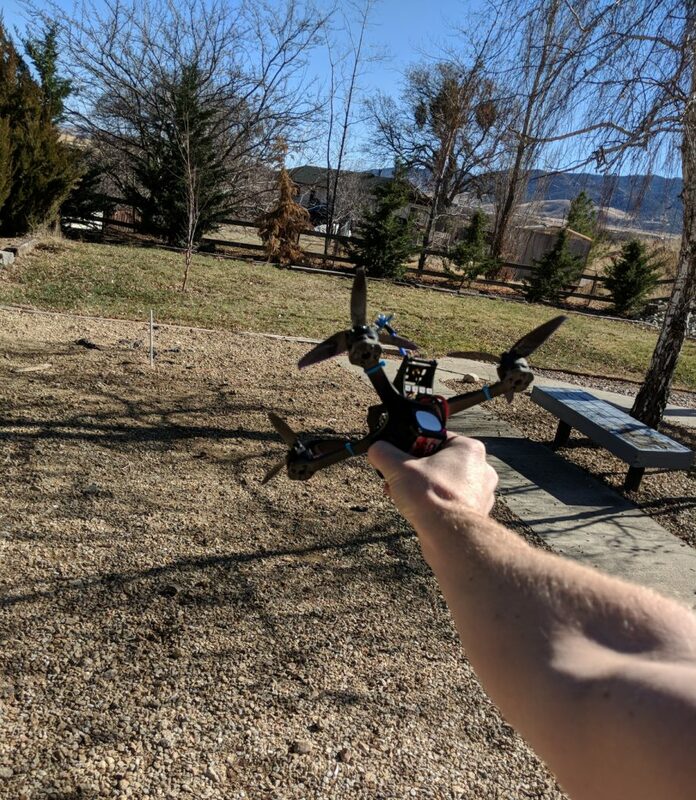 Do all props / motors rotate freely without hitting anything or binding up? Are all the antennas in clear air and protected from the props? Have you plugged it into a battery yet? If not, consider using a smoke stopper. Air mode might be my favorite Betaflight feature. I have it turned on on every single quadcopter I own. It is not a good idea for your first flight, however. 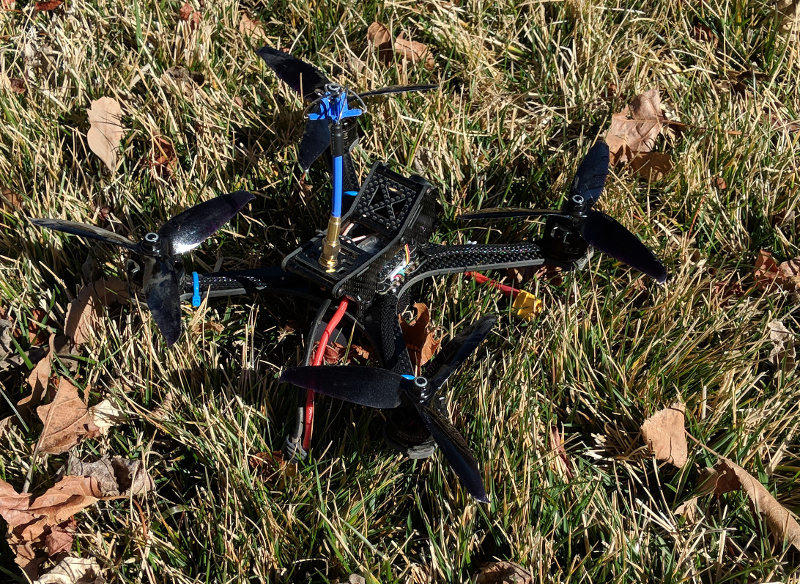 The reason is that once the quadcopter is armed and the throttle first lifted slightly, the flight controller will use 100% of the motors power to try to self-right the miniquad. If anything is not configured right (a reversed prop, for example), this will lead to a particularly violent chicken dance. What you want is a non-violent crash. Turn off airmode for the first flight or two. I treat any quadcopter I don’t have any experience with like it will arm and do a chicken dance at any time. I always point the top of the quadcopter away from my body and I always hold it very loosely — ready to drop it at a seconds notice. This may seem overkill, but I urge you to search google images for “quadcopter injury” if you want to see my reasoning. 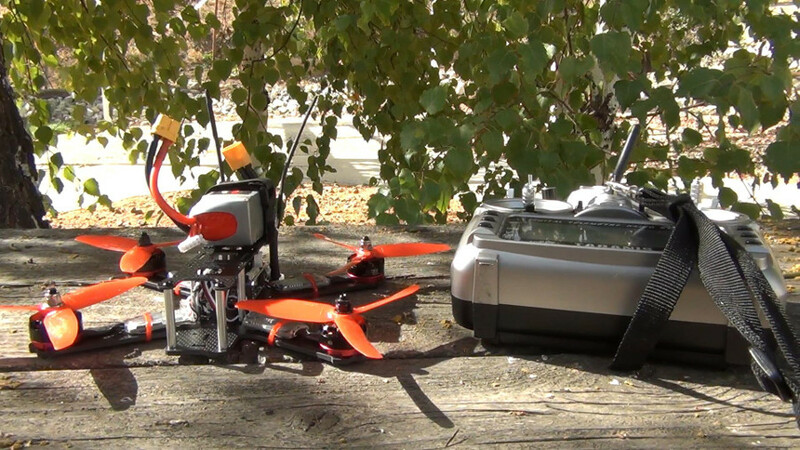 Do not underestimate the power of your quadcopter and the sharpness of your propellers. Grass is far more forgiving than concrete, asphalt, dirt and rock. If you encounter a chicken dance, the grass will cushion the blows. This will prevent a multitude of dings and scratches and will often save your propellers as well. Flying your quadcopter third person for the first time will give you a better vantage point to notice something wrong and terminate the flight. It will also allow you to get out of the way if the quadcopter is chicken dancing towards your person. Assuming your quadcopter flies, it is also much easier to see tuning problems in third person. If you cannot fly a quadcopter in third person, I highly recommend you learn. 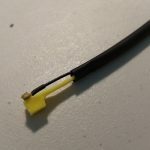 With simulators and $10 toy microquads, it is an easy skill to learn. It can also be incredibly fun. If you are interested in learning, we have an extensive series of exercises which you can use to hone your skills.